QuiltingLotsmooredesigns: The Quilts to be Completed Clare list is growing...eeek! The Quilts to be Completed Clare list is growing...eeek! Remember my brave talk about my list of Quilts to be Completed Clare (QCC) and Quilts to be Quilted Clare (QQC) ? Well they jolly well keep growing! Must be the manure or something around here. The QCC list is now up to 48, and the QQC list is 38...a grand total of 86 projects. Oh for goodness sake, that sounds so ridiculous. So action stations it is. This list MUST be reduced. So far I have managed a couple of small steps, which is how I am hoping to attack this task. 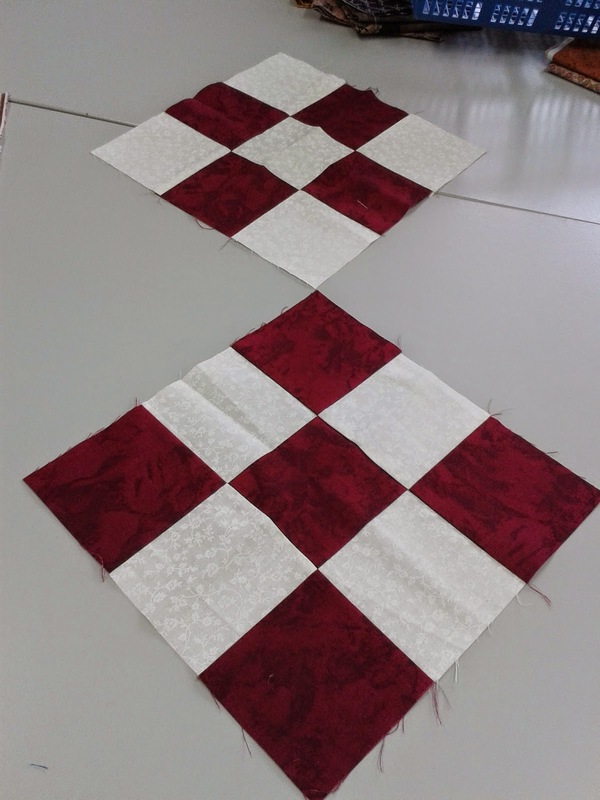 First of all I have finished one section of the scrap blocks for grandson Caleb's new quilt and have cut out the extra red squares for the next section. 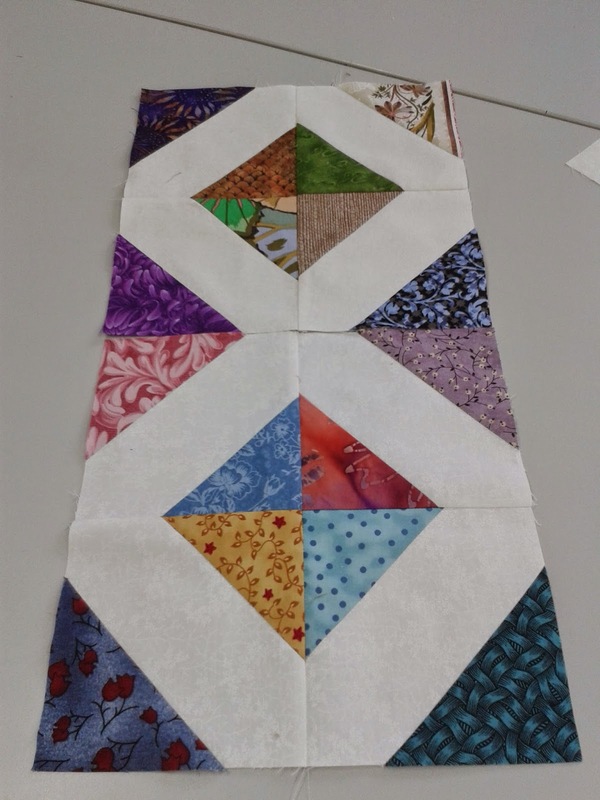 This quilt is the one I am doing as part of the Paper Bag Challenge at Otane Patchwork. 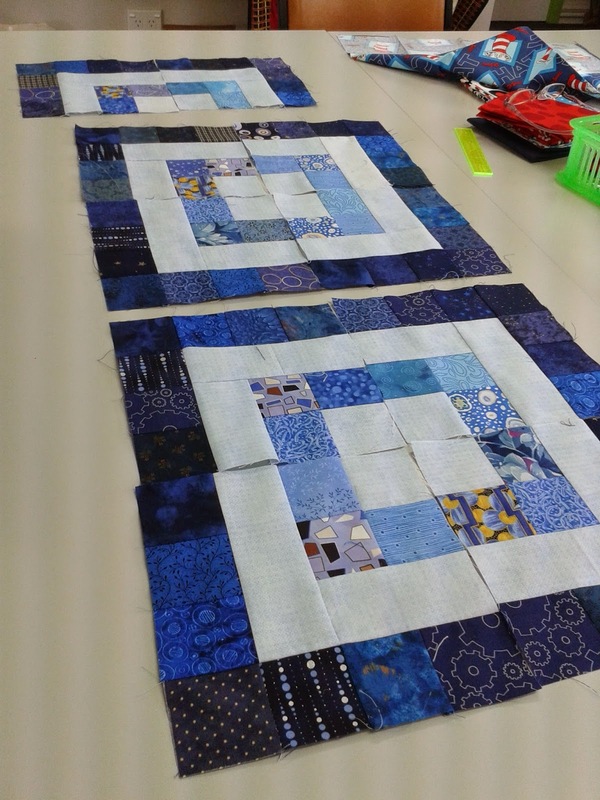 We have our last hand over of blocks on 9th February and then we have a sewing day of our own blocks in March. My goal is to have all the extra blocks ready for the March date and then I am into assemblng this quilt. These are the last two sets that I finished stitching today ready for the hand over day. At least these blocks are now finished and havent been lost in the rearranging. I cannot find my basket full of templates that I need to carry on with my Farmers Wife blocks...hmm. 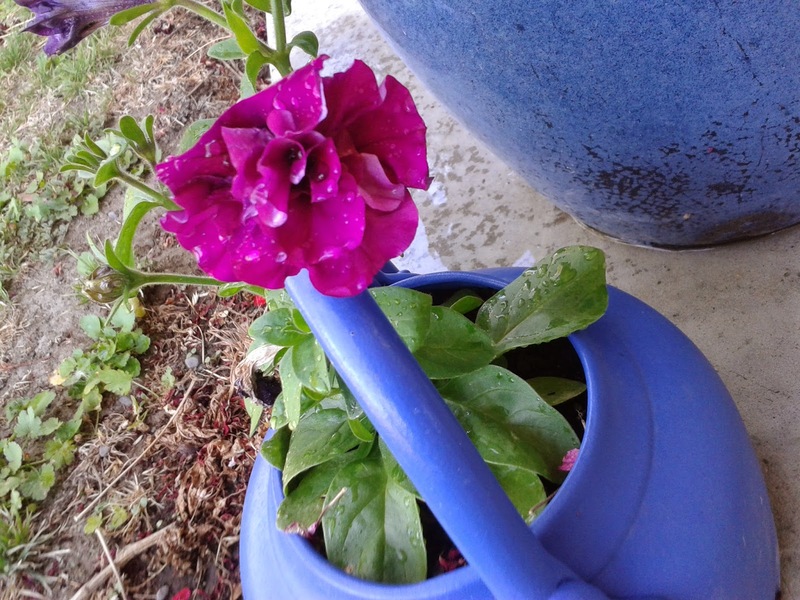 And here is a shot of my lovely petunias that have begun to flower beautifully out on our verandah. They are a delectable shade of cerise and such good value as petunias flower for such a long time. My last offering is a shot of Mr Moore gazing at the wall that is about to be rearranged. 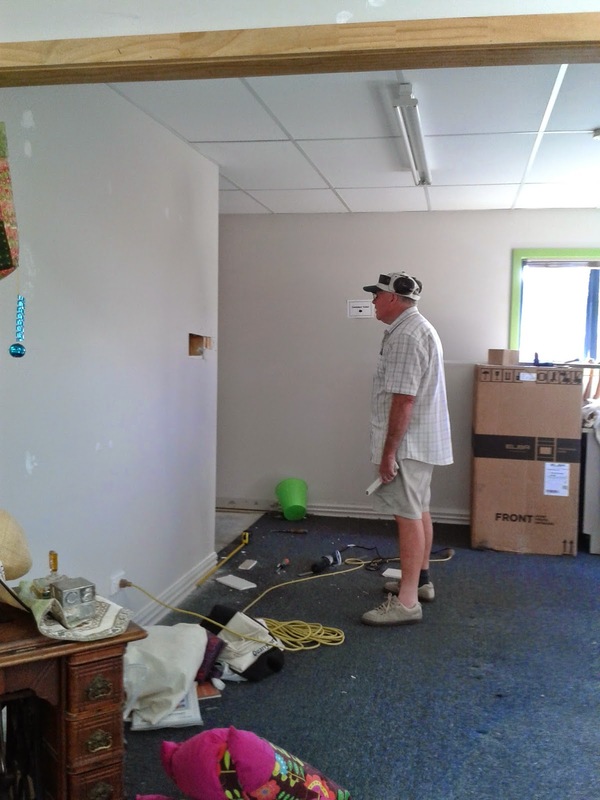 Behind him is where our new bedroom is going to be, in front of him will be the wall dividing the new laundry (currently the small shop kitchen) and new larger bathroom. The electricians were in today and did a great job of putting in the new RCD switchboard and rearranging some of the lighting. Very efficient, which is great for the bill! So there you have it friends. Life in the Moore household is full of adventure right now. Who nows where we might be sleeping on Saturday night. It wont be where we are now that is for sure! Off to grab a little more sleep, so will catch up with you again soon. Oooh, by the way, this is my 99th post! So to celebrate my next post which of course will be my 100th, I am going to have a giveway for you all. Keep checking in, I will try and be back within the week. Thanks for dropping by and talk to you again soon.